I was fortunate to receive funding to join the neurology intensive care unit at Innsbruck Medical University in Austria as an observer for one month in October 2015. There are no specialized neuro-ICUs in South Africa, where I am from. In South Africa’s public health care system, critical care for patients with neurological illnesses remains in the domain of our pulmonologists and anaesthetists. However, due to lack of beds in the general ICU, patients with critical neurological illness are often overlooked for admission to the ICU, and are unfortunately, left in the general neurology ward to receive basic care. This results not only in higher morbidity and mortality rates, but a sense of despair among the medical staff in not being able to deliver the best treatment. The neuro-ICU at Innsbruck Medical University was set up in the early 1980s with the principle aim of offering rigorous neurological and neuro-rehabilitative support to acutely ill neurological patients. The unit has developed into a world-leading neurological ICU with 10 ICU beds and six step-down, high-care beds. The unit is equipped with modern mechanical ventilators and multi-modality cardiovascular, respiratory, and neurological monitoring. Their patient population includes traumatic brain injury, subarachnoid and intracerebal hemorrhage, severe ischemic strokes, status epilepticus, neuromuscular disorders, severe central nervous system infections, brain tumors, encephalopathies (metabolic/toxic/anoxic), etc. 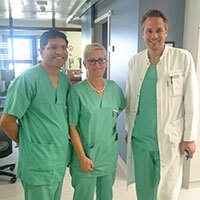 The unit is run by Professor Erich Schmutzhard and his team of neurological intensivists (Dr. Bettina Pfausler, Dr. Ralmund Helbok, and Dr. Ronny Beer). There are usually three to five junior doctors, including interns, medical officers, and neurology and neurosurgery resident doctors. There are approximately 60 ICU trained nurses and a full complement of allied medical personnel, including speech therapists and physiotherapists. Its monitoring capabilities are similar to that of other neurocritical care units and include measurement of intracranial pressure, cerebral perfusion pressure, brain tissue oxygen saturation, cerebral microdialysis, continuous electroencephalography, near infrared spectroscopy, transcranial Doppler and transesophageal echocardiography. The team routinely performs placement of central venous and arterial lines, continuous renal dialysis, and intravascular cooling for prophylactic normothermia and therapeutic hypothermia. Apart from clinical work, the department is very academic, dishing out leading research publications on a regular basis. The morning starts off with a meeting with the entire neurological department discussing all neurological patients admitted in the past 24 hours and reviewing their scans. Frequently, this is followed by an academic presentation. Thereafter, the neuro ICU team has a handover round, during which the doctor covering the ICU the previous night hands over the patients to the day staff. Upon cessation of this round, the team proceeds with the actual ward round led by one of the consultants, meticulously examining each and every patient, and deciding on the treatment plan for the day. Thereafter, I would accompany the consultant to see any consults elsewhere in the hospital and observe procedures finishing in the neuro-ICU. The experience was well above my expectations and gave me a wider understanding of the management of neurological conditions in a first world setting and how different (and occasionally how similar) it is to South Africa. I was impressed by the efficiency with which things get done in the hospital. Due to limited resources available in the public hospitals in South Africa, patients can wait up to two weeks (if not longer) for scans, whereas scans requested at the Innsbruck neuro-ICU were completed on the same day. One of the highlights was to follow patients with invasive intracerebral monitors (intracranial pressure, brain tissue oxygen saturation, cerebral microdialysis, etc). It was interesting to see how this monitoring played a role in daily management of these patients. This type of monitoring is not readily available in the public hospitals in South Africa. Another highlight was observing therapeutic hypothermia being performed on a 72-year-old woman who developed cardiac arrest in a primary hospital. She recovered spontaneous circulation after CPR. She was flown by helicopter to Innsbruck. Following the therapeutic hypothermia and neurological intensive support, she woke up a few days later with no significant neurological deficit. Upon seeing patients with severe brain pathologies recover, this visit has invigorated my enthusiasm in providing the best available care to my patients and not to give up too easily when no other resources are available. First, I would like to thank the World Federation of Neurology (WFN) and the Austrian Neurological Society for selecting me to participate in the inaugural department visit program and to gain valuable experience. I am grateful to Professor Girish Modi for bringing the advertisement for the observership to my attention and assisting me in applying for it. I would also like to extend my gratitude to Tanja Weinhart, the executive secretary of the Austrian Society of Neurology, for arranging my flights and accommodation, thus making my stay in Innsbruck very comfortable. A big thanks goes to Professor Reinhold Schmidt and Professor Wolfgang Grisold for taking time out of their busy schedule to invite me to lunch in Vienna, and not only educating me about health care in Austria, but also adding to my waistline by spoiling me with their local delicacies. I am grateful to Professor Schmutzhard and his team for accommodating me in their department. Lastly, a big thanks goes to Dr. Bettina Pfausler for ensuring that I learned a lot about neuro-ICU. I would have to admit that I struggled with the language, as all meetings and ward rounds are conducted in German; however, Dr. Pfausler and Dr. Helbok were on hand to translate for me. Dr. Pfausler, a self-proclaimed “proud Tyrolean,” not only ensured that this observership was successful from an academic standpoint, but she also educated me on the history of the Tyrol region of Austria. Over several centuries, those born in Scotland have often left their homeland because of the perceived lack of opportunity, and then made successful lives in other countries. This behavior was particularly frequent during the so-called Highland clearances of the 18th and 19th centuries. Scottish landowners dispossessed their tenant farmers who had been engaged in small-scale agriculture for generations, to make land available for more profitable sheep rearing. As one consequence, more people of Scottish ancestry now live elsewhere in the world than in Scotland itself. In 1956, there was a Highland clearance on a micro scale, when lack of available consultant positions in the British National Health Service resulted in a trained neurologist of Highlander origin emigrating to Australia. An outline map of Australia found among John Sutherland’s papers, with dotted latitude lines added to it in his hand. The map includes names of the cities where he studied multiple sclerosis prevalence, and the local prevalence figures per 100,000 of population he obtained, have subsequently been inserted; the figures from his earlier survey in red, and from the later one in purple. John Sutherland (Fig 1) was born in Caithness, in the extreme northeast of mainland Scotland, in 1919. He was educated in Glasgow, and graduated in medicine from the University of Glasgow in 1943. After service in the wartime Royal Navy, he returned to the Western Infirmary, Glasgow, in 1946 as medical registrar to Douglas Adams, a consultant physician with neurological interests, particularly concerning multiple sclerosis. Adams launched Sutherland into clinical and laboratory research related to the disease, resulting in the addition of a research medical degree (Glasgow) to Sutherland’s existing basic medical qualifications. After his appointment in Glasgow ended, Sutherland went to Inverness, the so-called “capital” of the Scottish highlands, in 1950, as senior medical registrar. He remained there for five years, followed by some months in a similar level position in Aberdeen, a little further south on the east coast of Scotland. In Inverness, though without the formal title, he in effect functioned as neurological consultant for the Scottish Highlands, the Hebridean Islands off the northwest coast of the country, and the Orkney and Shetland Islands north of the mainland. From Inverness he investigated a suspicion that arose out of his multiple sclerosis clinical studies in Glasgow, namely that there might be an uneven distribution in the occurrence of multiple sclerosis between parts of Scotland. Because of his close professional relationships with medical practitioners in the areas he serviced, he achieved a high multiple sclerosis case ascertainment rate and, after various field expeditions, found that the prevalence of the disease in the shaded areas of the map (Fig 2) covered over in red was approximately twice that in the remaining shaded parts. He realized that the red areas were those where the population was predominantly of Nordic origin, a later-day result of Viking invasions and settlement centuries earlier. The remaining shaded areas had populations largely of Gaelic lineage and who still could understand and employ the Gaelic language. Thus, he obtained persuasive evidence, perhaps the earliest, that genetic and racial factors might play a role in the etiology of multiple sclerosis. John Sutherland’s map of Scotland. The shaded areas show where he investigated the prevalence of multiple sclerosis, with the original version modified by coloring over in red in the higher prevalence areas. 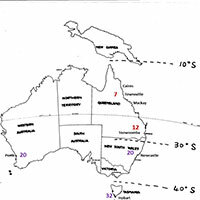 In the year that this study was published,1 Sutherland arrived in Australia to take up an academic position in Brisbane, the capital of the state of Queensland that occupies most of the northeast quarter of the continent (Fig 3). After a few years, he commenced consultant neurological practice in that city. In the 1950s, it was generally believed locally that multiple sclerosis rarely occurred in the northern half of Australia, and that native-born Queenslanders never suffered from it. 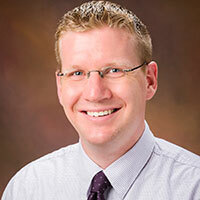 Sutherland soon showed that these ideas resulted from a local medical unfamiliarity with the spectrum of clinical manifestations of the disorder, so that it simply was not being recognized. Knowing that multiple sclerosis prevalence increased with increasing distance from the equator in the northern hemisphere, and because of his earlier investigation being alert to the possible relationship between geographical and racial factors and disease distribution, Sutherland proceeded to investigate whether a similar disease prevalence distribution in relation to latitude existed in the southern hemisphere. No adequate data were then available. Australia was a peculiarly suitable site for investigating the matter. It possessed a 3000 km -long north-to-south dimension, a uniform and high standard of medical practice throughout, main population centers spaced reasonably evenly along its eastern seaboard, and was populated almost exclusively by those of British and other European stock who spoke English (though some of them may have initially wondered if Sutherland also did, until his broad Scotch accent gradually became somewhat attenuated). Sutherland initially carried out a field study of multiple sclerosis prevalence in three tropical Queensland coastal cities (Cairns, Townsville, and Mackay) and in sub-tropical Toowoomba (about 100 km west of Brisbane).2 Recognized cases of the disease were found to have a lower prevalence in the tropical than in the sub-tropical population, though the disease prevalence was low relative to that in Northern hemisphere populations. Spurred on by this finding, he then collaborated with local neurologists and epidemiologists in selected southern cities (Newcastle, Perth and Hobart) to show a higher multiple sclerosis prevalence the further south the matter was studied.3 Later still, in another collaborative study that took in New Zealand, overall closer to the South Pole than the southernmost parts of Australia, further evidence was obtained.4 Thus Sutherland’s name became associated with a series of investigations that demonstrated beyond reasonable doubt that multiple sclerosis prevalence increased with greater distance from the equator in the southern as well as in the northern hemisphere. 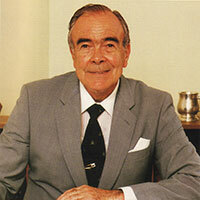 In Australia, Sutherland became a very successful consultant who developed an additional major interest in medico-legal neurology. With the years, his active investigative work into multiple sclerosis diminished, though he retained a watch on the relevant literature until the end, which came in 1995. Scotland’s inability to provide appropriate professional opportunity for another of its many sons thus provided Australia with one of that country’s pioneer neuroepidemiologists, a man whose investigative endeavors helped awaken ongoing broader interest into multiple sclerosis far from his homeland. Sutherland JM (1956) Observations on the prevalence of multiple sclerosis in northern Scotland. Brain 79: 635-654. Sutherland JM, Tyrer JH, Eadie MJ, Casey JH, Kurland LT (1966) The prevalence of multiple sclerosis in Queensland, Australia. Acta Neurologica Scandinavica 42 (Suppl 19): 57-67. McCall MFG, Brereton TLG, Dawson A, Millingen K, Sutherland JM, Acheson ED (1968) Frequency of multiple sclerosis in three Australian cities – Perth, Newcastle and Hobart. Journal of Neurology Neurosurgery and Psychiatry 31:1-9. Sutherland JM, Tyrer JH, Eadie MJ (1962) The prevalence of multiple sclerosis in Australia. Brain; 85:149-164. Eadie MJ, Sutherland JM, Tyrer JH (1965) Multiple sclerosis and poliomyelitis in Australasia. British Medical Journal 1: 1471-1473. Mervyn Eadie is emeritus professor of clinical neurology and neuropharmacology, University of Queensland, Brisbane, Australia. 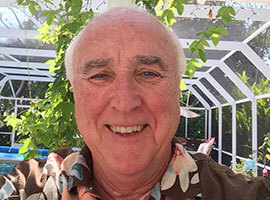 Peter J. Koehler is the editor of this history column. He is a neurologist at Atrium Medical Centre, Heerlen, Netherlands. Visit his website at www.neurohistory.nl. The medical world thinks of the developed and developing societies in terms of diagnostic and treatment differences. However, there are realities that are common to both spheres concerning most medical conditions. As a medical student, one would read of common disorders that were not being treated. Epilepsy was a striking example. In many rural Indian communities, up to 90 epilepsy patients out of every 100 were not getting treatment. In bureaucratese, this was a treatment gap of 90 percent. The treatment of epilepsy has since evolved. Over two-dozen antiepileptic drugs are currently available. Many drugs are off patent and generically manufactured, and available in India and other developing nations at reasonable prices. But the epilepsy treatment gap of up to 90 percent still exists in many rural Indian communities! So, why has nothing changed for the lot of millions of epilepsy patients? Let us humanize the numbers. By using calculations from an often-quoted epilepsy prevalence figure of 1 percent of the population, at least 12 million Indians are struggling with epilepsy.1 Large prevalence studies are unavailable, and many experts agree that this number is more likely to be closer to 15 million or even higher. This implies that more than 10 million epilepsy patients in India are untreated. Extrapolating worldwide, there are more than 50 million epilepsy patients and at least 40 million of these reside in developing countries. The estimate is that 75 percent of patients in developing countries are outside the domain of any kind of effective treatment. This implies at least 30 million untreated persons. Ironically, epilepsy is one of the relatively easily controllable neurological diseases. Untreated epilepsy with frequent generalized tonic-clonic seizures results in serious injuries and burns. Patients may lose sight, digits, or limb. The visible scars are further stigmatizing for patients who struggle with societal acceptance. Photo credit: Priya Jain. What is life like with untreated epilepsy? Most persons with epilepsy who do not have any other neurological illness are essentially normal at all times other than during their seizures. A seizure generally lasts for a few minutes during which, amongst other things, the person is unaware of his or her surroundings, and after which the person may remain confused for a variable amount of time or may sleep off the effects. In either case, the individual is back to normal within a few hours, often without even requiring a trip to the doctor’s clinic or the emergency room. Then what is the great problem about having untreated active epilepsy with an occasional seizure? Imagine having brief episodes of unawareness just once or twice in a month, in six months or even in a year, but not knowing when these would happen. So, you may be driving to work, crossing the street, climbing a tree, in bed with your partner, swimming in the pool, or speaking mid-sentence in that all important meeting. Suddenly, out of the blue, you start convulsing or just fidgeting with your buttons or speaking in an unintelligible jargon or wet your clothes in full public gaze. How would it feel to know that you had done either of these, and then have to go back to the same people in front of whom this had happened? Well, that is assuming that these people agree to work or socialize with you after witnessing a seizure. The economic impact of untreated epilepsy is formidable in all societies. Many untreated epilepsy patients remain unemployable, especially if local attitudes consider it to be a contagious disease, a mental illness, or a demonic possession. Thus, they are removed as contributors to the economy. Even if they are poor and have minimum wage jobs, this still adds up to a substantial amount of money loss because of the millions affected. There are other grave consequences of untreated epilepsy. If the patient is of school or college age, they are very likely to have to drop out. This is either due to their parents’ fear that their child may be injured during a seizure, or on the insistence of teachers. With limited scope for education, landing a good job later in life is subsequently reduced. The intrigue and misinformation surrounding epilepsy reduces social acceptance of patients. Any relationship, including a stable marriage, especially for women with epilepsy, is unlikely. Abandonment of women with epilepsy and their children from marital relationships is common. Such women, with little or no education, no skills and sometimes also with small children to take care of, are often left at the mercy of an impoverished community. So, is epilepsy difficult to treat? No. Epilepsy is a relatively easy disease to treat in most patients. The diagnosis is clinical and based upon eliciting a history of stereotyped episodes during which the patient may behave abnormally, have involuntary movements or jerks, generally become unaware of his surroundings and then recover in a short time. After the clinical diagnosis, a couple of investigations— EEG and brain imaging — may be done. Investigations may help in deciding the best anti-epileptic drug, in prognosticating how long the treatment is likely to be needed, and how responsive to treatment the patient’s epilepsy might be. However, even if investigations are not available, as is the case in many developing countries, most patients can still be started on treatment based on clinical history and examination alone. Treatment costs are not very high with generic medications. For example, in India, patients who are treated with one antiepileptic drug spend about $2-$5 per month. Many other developing countries face severe shortages of antiepileptic medication and also have to contend with high medication costs. Along with starting antiepileptic drugs, it is necessary to educate and inform patients at the first visit and at every subsequent opportunity, about their disease and it’s treatment. Without backing up drug treatment with education or “epilepsy literacy,” outcomes are unlikely to be good. After starting treatment, regular reviews at least once or twice a year are needed. Patients have to continue treatment for several years. At least 60-70 percent of epilepsy patients will become seizure-free on medication quite easily. The remaining minority have more difficult forms of epilepsy and need further evaluation and treatment at a specialized epilepsy center. Surgery may be an option for some of these difficult patients. What are the main challenges? Despite the relative simplicity of the process of epilepsy diagnosis and initiating treatment, millions remain untreated in India and the developing world. To our minds, the biggest hurdles are reliance on specialist doctors who are either entirely missing or extremely scarce and located only in a few large metropolitan cities. This produces a lack of organized, credible, and easily accessible primary care throughout these countries. Hence, we have the current situation in these countries, where effective systems are not in place. For example, even if an epilepsy patient in a rural area is aware that visiting a doctor and getting the condition treated is possible, what can he do? To whom does he or she go? There is no easy track for one to follow. In India, a hierarchy of health centers exists with a scaling up in staff skill and numbers, and improvement in facilities based upon the size of the population being served. However, doctors and services are not reliably available at these facilities. As a result, an epilepsy patient in a village can either spend an entire lifetime untreated and seizing, or, if he or she is feisty, may make a long and expensive journey to a big city for treatment. No patient should have to do that. In India, there are about 638,000 villages with difficult access. Therein lies the problem. Unless treatment is made available within a radius of about 25-50 kilometers of every small village and town, epilepsy patients and the nation’s economy will continue to suffer needlessly. Some epilepsy is also preventable. Millions of epilepsy patients in India and worldwide have what is best described as “preventable epilepsy.” In other words, their epilepsy should not have even happened in the first place. Tapeworms cause epilepsy associated with neurocysticercosis. It reflects lack of access to clean food and water, poor sanitation and hygiene, and is an illustration of the public health aspect of epilepsy. Accidents, including frequent road traffic accidents, may lead to head injury and posttraumatic epilepsy. This form of epilepsy is notoriously difficult to treat and often requires surgery. Birth injuries and hypoxic brain damage are more likely to occur with unsupervised childbirth at home. This practice is diminishing, but still prevalent in many rural communities in the developing world. Such babies may also have epilepsy in addition to cerebral palsy, mental subnormality, and behavioral abnormalities. Other preventable epilepsies include epilepsy associated with other brain infections, and drug and alcohol abuse. How can we overcome epilepsy? Clearly, what the medical community and governments have been doing so far has not worked. The International League Against Epilepsy celebrated its centenary in 2009. The WHO has existed for seven decades. Work has definitely been done and some progress made. But it is too little and at a very slow pace. Times have changed, and many newer resources are available. The need of the hour is a paradigm shift in all aspects of epilepsy care. We need to think about who will shoulder the responsibility of caring for epilepsy patients in communities where there is a shortage of doctors and specialists. Can the epilepsy care workforce be expanded beyond doctors? Can epilepsy only be diagnosed by seating the patient in front of a doctor in a hospital clinic setting, or are there other viable, safe, and acceptable options? Do patients have to be transported to big city hospitals for investigations or can this also be done in heretofore-overlooked settings?2 Once started on treatment, can regular patient reviews only be done in clinics, or can they be done remotely by telemedicine? Untreated epilepsy can no longer be considered just another medical condition. It is a public health issue. Lives are being impacted as adults become unemployable and the caretaker is likewise reduced in their workforce role. Finally, unless efforts at diagnosing and starting treatment are not accompanied by concerted efforts of raising epilepsy literacy amongst patients, caregivers, and laypersons, success will remain elusive. An Epilepsy Resolution approved by the World Health Assembly on the May 26, 2015 is considered a historical landmark. This resolution was overdue and now societies need to push hard to make it work. Are countries really too poor to bargain for generic drugs for their citizens? The defense budget of India for 2015-16 is $40 billion, and even a 1 percent reduction in this may be enough to treat the currently untreated epilepsy patients for one year. Reducing the country’s nuclear spend marginally or even getting a sliver of funds spent by the Board of Cricket Control in India may be enough for funding epilepsy treatment in untreated patients. Savings can be achieved in developed countries by allowing the treating personnel to use the appropriate generics rather than the cheapest ones, a common conundrum for U.S. physicians, since the cheapest are not always the most effective. This promotes more seizures and more expenses related to caring for the additional seizures and related injuries. A statement has been attributed to former Secretary of State Condoleezza Rice that the U.S. budget for military bands is higher than that for the U.S. State Department. Certainly these funds can be diverted to effective treatments for uninsured U.S. citizens, rather than to ceremony. Even where universal health care exists, there are expenses that can be cut to fund these physician-prescribed needed medications. 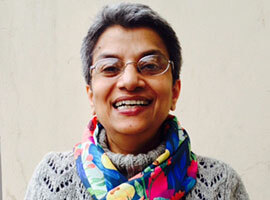 Mamta Bhushan Singh, MD, DM is an additional professor, department of neurology, All India Institute of Medical Sciences, New Delhi, India. Michael Finkel is a retired neurologist, and a member of the AAN, Child Neurology Society, ENS, EFNS, and BMA. He is a fellow of the AAN. On February 1, 2016, the World Health Organization (WHO) declared that the Zika outbreak in the Americas is a Public Health Emergency of International Concern (PHEIC). This recommendation was based upon the growing concern that Zika virus infection is linked to the increasing number of cases of neonatal microcephaly and other neurological conditions such as Guillain-Barré syndrome (GBS). As of April 6, 2016, the Zika virus has been reported in 62 countries or territories, and is circulating in 39 of them. Of great concern is the fact that the geographical distribution of the virus has steadily and rapidly expanded. Since Zika virus is transmitted to humans by Aedes mosquitoes, there is great concern that the virus outbreak will continue to spread to other countries and territories. Although most people who are infected with Zika virus appear to have few symptoms, the latest evidence suggests a clear association of the virus with a congenital syndrome of brain malformation/microcephaly, and an increased incidence of GBS and other neurological conditions (e.g., myelitis and meningoencephalitis). The Zika virus congenital syndrome (microcephaly) has been seen in French Polynesia and especially in Brazil, where several thousand cases have been reported. Thirteen countries or territories have reported an increase in the incidence of GBS in conjunction with the wave of Zika virus outbreak. Assessment of this growing body of information has led the WHO to conclude that Zika virus is a cause of microcephaly and GBS. WHO has called for a coordinated global response to help affected countries and health care providers deal with the crisis. Management of the complications of Zika virus infection is already straining health care systems in affected regions, and there is a serious lack of financial resources available. WHO has convened several meetings to address the Zika virus epidemic. Several WHO peer-reviewed guidelines have been generated. WHO is posting these guidelines and is providing frequent updates about the Zika virus situation on its website. WHO provides the most comprehensive global information on Zika virus, and I encourage everyone to visit the WHO website, www.who.int/en/ for the most current information. The Pan American Health Organization (PAHO) is also working with WHO to provide informational resources and support for this crisis. Of course, increased surveillance, enhanced vector (mosquito) control measures, development of reliable diagnostic tests, and vaccine development are priorities. Collaborative interdisciplinary research on Zika infection and its neurological complications is already being organized, but funding is severely lacking at this time. As an important first step to enhance research collaboration and provide for transparent data sharing, the Neurovirus Emerging in the Americas Study (NEAS) (www.neasstudy.org/en/home/) is being organized and is supported by an approved Johns Hopkins Medical Institutions IRB protocol. Researchers are encouraged to visit the NEAS website for additional information. The situation is rapidly evolving; therefore, all information is subject to modification as we learn more about this emerging crisis. Since the Journal of the Neurological Sciences represents the World Federation of Neurology, I encourage clinicians and investigators to provide us with the newest information available on this evolving crisis. Of course, new and interesting information about other neurological diseases is always published in our journal, and in this and the previous issue we have selected new “free-access” articles for our readership. Oscar H. Del Brutto and Hector H. Garcia provide an excellent review on the history of human Taenia solium (the pork tapeworm) cysticercosis. Neurocysticercosis is a major cause of seizures and neurological disability throughout the world, and this article succinctly reviews how our understanding of this disease has evolved. O.H. Del Brutto, H.H. Garcia, Taenia solium cysticercosis-The lessons of history, J.Neurol.Sci. 359 (2015) 392-395. Rachel Ventura, Laura Balcer, Steven Galetta, and Janet Rucker from New York University School of Medicine provide an overview of eye movement abnormalities that can occur with concussion. Sports concussions are increasingly recognized as a serious problem with potential long-lasting neurological sequelae. As such, there is a great need to understand concussion and to develop sensitive tests to identify and evaluate patients with concussion. Since ocular motor function is controlled by diffuse and multiple areas of the brain, neuro-ophthalmologic tests can provide a sensitive means of assessing brain dysfunction. The King-Devick test, which measures visual performance, is already being used on the sidelines to assess concussion. In this paper, the authors explain how eye movements are compromised by concussion, and how ocular motor assessment tasks can be used to monitor patients. R.E. Ventura, L.J. Balcer, S.I. Galetta, J.C. Rucker, Ocular motor assessment in concussion: Current status and future directions, J. Neurol. Sci. 361 (2016) 79-86. The World Federation of Neurology (WFN) Department Visit Program was initially developed in support of the WFN’s Africa Initiative to provide educational opportunities for young neurologists living in Africa. The success of the program is exemplified by the participation of Turkey, Austria, and Norway, which have served as host countries to African neurologists and have provided funding for the visits. At the World Congress of Neurology in Chile last year, Dr. Raad Shakir, president of the WFN, suggested to Dr. Morris Freedman, newly elected WFN trustee from Canada, that the Department Visit Program be expanded to include Canada as a host country. The proposed goal was to support the Central and South America Initiative Network. Canada welcomed Dr. Shakir’s suggestion as an opportunity to contribute to the international education of neurologists. Dr. Guy Rouleau, director of the Montreal Neurological Institute and newly appointed Canadian delegate to the WFN, along with Dr. Colin Chalk, president of the Canadian Neurological Society, Dr. Jeanne Teitelbaum, president of the Canadian Neurological Sciences Federation, the umbrella organization of which the Canadian Neurological Society is a member, and Dan Morin, CEO of the Canadian Neurological Sciences Federation, all enthusiastically endorsed the concept of the Department Visits. Shortly afterwards, with the guidance and assistance of WFN Secretary General Dr. Wolfgang Grisold, and WFN Education Committee Chair and Co-Opted Trustee, Dr. Steven Lewis, the joint WFN-Canada Department Visit Program was launched with a formal announcement and call for applications in early March 2016. Under Dr. Guy Rouleau’s supervision, the Montreal Neurological Institute will be the host site for the first Department Visit to Canada. The Montreal Neurological Institute was founded in 1934 by Dr. Wilder Penfield and has become the largest specialized neuroscience complex in Canada. Among its specialized clinics are those for movement disorders, epilepsy, multiple sclerosis, muscle diseases, pain, brain tumors, and amyotrophic lateral sclerosis. Last year, it received more than 42,000 ambulatory patient visits. More than 28,000 diagnostic tests were carried out, and neurosurgeons performed some 1,800 procedures. The Montreal Neurological Institute has long been a leader in the training of neurologists and neurosurgeons, and it is the principal site of McGill University’s Integrated Program in Neuroscience, the largest graduate neuroscience program in North America. Always at the forefront of innovation, the Montreal Neurological Institute has been the gateway to Canada for technologies such as encephalography (EEG), magnetic resonance imaging (MRI), positron emission tomography (PET), and computer-assisted tomography (CT). More information about the Montreal Neurological Institute can be found at www.mcgill.ca/neuro/about. The Canadian Neurological Society will be the host society of this Department Visit program. 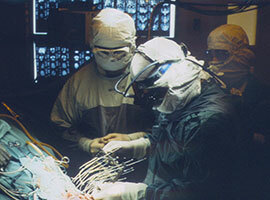 The Canadian Neurological Society was established in 1948 as an organization of neurologists and neurosurgeons. In 1965, the original Canadian Neurological Society was dissolved and two new societies were created to represent the two distinct groups, i.e., the modern day Canadian Neurological Society and the Canadian Neurosurgical Society. The mission of the Canadian Neurological Society is to enhance the care of patients with diseases of the nervous system through education, advocacy, and improved methods of diagnosis, treatment, and rehabilitation. The Canadian Neurological Society and the Canadian Neurosurgical Society, along with the Canadian Association of Child Neurology and the Canadian Society of Clinical Neurophysiologists, are all member societies of the Canadian Neurological Sciences Federation. More information about the Canadian Neurological Society and the Canadian Neurological Sciences Federation can be found at www.cnsfederation.org/. The Montreal Neurological Institute, founded in 1934 by renowned neurosurgeon Dr. Wilder Penfield, is the largest specialized neuroscience research and clinical center in Canada, and one of the largest in the world. The Montreal Neurological Institute and the Canadian Neurological Society will host two neurology trainees or junior faculty who are within five years of certification in neurology to visit the Montreal Neurological Institute for four weeks. To qualify, applicants must be residents of a country in Central or South America. The focus for the visiting neurologists and neurology trainees will be to experience the Canadian neurological system in an international environment, meet new colleagues, and foster future cooperation. Pioneering research and treatment of epilepsy at the Montreal Neurological Institute, the “Montreal Procedure,” a surgical treatment for epilepsy developed by Dr. Penfield and colleagues, is used all over the world. Support will be provided for travel expenses, accommodation, living expenses, and cost of health insurance during the stay in Canada. The evaluation committee consists of two representatives from each of the following: the Canadian Neurological Society, the WFN Education Committee, and the Central and South America Initiative Network. The initial department visit will take place during late 2016 or 2017, and applications will be accepted until May 30, 2016. More information can be found at www.wfneurology.org/wfn-mni-cns-montreal-department-visit-programme. 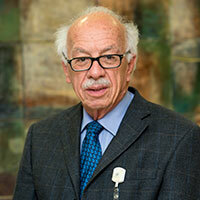 Morris Freedman is a WFN trustee, and is with the department of medicine, division of neurology, Baycrest Health Sciences, Mt. Sinai Hospital, and University of Toronto; Sam and Ida Ross Memory Clinic Baycrest; Rotman Research Institute, Baycrest, Toronto, Canada. Guy Rouleau is with the Montreal Neurological Institute, department of neurology and neurosurgery, McGill University, Montreal, Quebec, Canada. 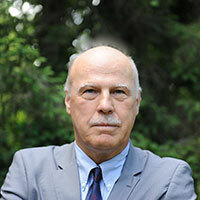 Wolfgang Grisold is WFN co-chair of the Education Committee and secretary general, and is with the department of neurology, Kaiser Franz Josef Hospital of Vienna, Austria; Medical University of Vienna, Austria. Colin Chalk is with the department of neurology and neurosurgery, McGill University, Montreal, Canada. Jeanne Teitelbaum is with the department of neurology, McGill University, department of medicine and neurology, Université de Montréal, Montreal, Quebec. Dan Morin is CEO, Canadian Neurological Sciences Federation. Can We Finally Have a Pan American Neurology? From Oct. 29th to Nov. 3rd, 2016, Cancun, Mexico, will host the 14th Pan American Congress of Neurology. This will be the second time for the Pan American Congress to be held in this country. Mexico hosted the fourth Pan American Congress in 1975. There have been more than 50 years of Pan American neurology meetings and maybe the time has come to question ourselves as to whether we have made some progress in this continent in building a real Pan American Neurology and more important, how prepared we are to develop an alliance to help each other in the pursuit of improved care of our patients with neurological illness. The American continent, with a population of around one billion is marked by inequality in human development. We also have a diversity of geographic, economic, political, and cultural systems. And, of course, we also have different health systems to provide care to an ever more demanding population. The obvious differences between the countries north and south of the Rio Grande have provided the grounds for a multinational effort to increase our cooperation. There are social and economic treaties, cultural and professional agreements, some of them with better results than others, but all of them with the idea of finding an improved quality of life. The cooperation among the Latin American states has been also prolific. Despite some differences, our similarities have prevailed, and in multiple examples we can see the results of intelligent and generous collaborations. Neurological disease has increased its burden over the world population. Naturally, the Pan American community is no exception. There are some particular situations in different areas— infectious and parasitic disease are still everyday events in some areas, malnutrition and metabolic in others, children with sequelae of difficult pregnancies and deliveries are prevalent in some communities, but the frequent pathologies of the nervous system are similar in all of our countries. Cerebrovascular disease, epilepsy, neurodegenerative disease, developmental difficulties, headaches, and behavioral syndromes have a very similar prevalence. Increases in communication and migration have also contributed to provide a more universal panorama of illness. And, of course the appearance of new threats like Zika virus has swiftly become a multinational preoccupation. The neurological community has an ideal opportunity to play a significant part in this continental effort. The southern countries have a common language, a very similar cultural background, and a rather equal social, ethnic, and developmental history. We also have a significant increase in technology and communications that have made distances shorter and real-time interaction an everyday occurrence. The northern countries have developed scientific and technological strength that keep them in the frontier of new knowledge. The advance of educational technological facilities have made teleconferences, telemedicine, online courses, and consultations an everyday event. The question is: Can we, the neurologists of the American continent, build a professional, scientific, social, and educational alliance to help with the possibilities of improving the care of neurological patients around the continent? What should we do and what can we do to achieve a situation of true and universal cooperation? A north, south, east, and west alliance can be a reality in the fields of education, epidemiology, interchange of information, online consultations, collaborative studies, and so on. No doubt, the area of neurological education seems the immediate possible goal. There are already multiple programs ongoing. The traditional journey of Latin American professionals to the United States and Canada for an update in the state-of-the-art of neurology, and programs for the neurological subspecialties are a common-day reality. But the extent of these educational efforts hardly meets the needs of a large population of specialists who do not have the opportunities to travel. Well-planned alliances between countries could help to reduce these gaps. Online education is a useful tool. Teleconferences and meetings, and the distribution of information in accordance with a well-planned program that avoids commercialization of information, are all possible ways of collaboration. The production of human resources for neurological care is another area where alliances can prove beneficial. Based in carefully performed studies that provide information about needs, a combined program of online and onsite education can help to reduce the lack of the most needed professional and technical resources. Even at the level of pre-graduate students, a multinational effort could address the needs of medical schools for a more complete neurological education. Education of first-contact physicians, family and general practitioners, and even paramedical personnel that provide attention in remote areas can be tackled by such an alliance. Time is short. Population growth is fast, and new challenges wait for us everyday. Maybe the time has come to stop the search for the lost time and start a true alliance of Pan American countries to improve the health of our people who ail from neurological diseases. Maybe, as multinational independent professionals, with no other aims but to help our patients, we can put forth a special effort to develop such an alliance. Maybe we can have a continental Pan American neurology that can help bring the benefits of science, knowledge, and technology to a large population of patients who do not currently have opportunities to enjoy the same care as others. There are more than 30 countries in our continents united by geographical chance, but with the need to be united by more than that. The forthcoming Pan American Congress in Cancun could be an opportunity to talk about these themes and ideas, and perhaps come up with an incipient program to help us make up the lost time. J.Eduardo San Esteban, MD is the educational coordinator and former president of the Mexican Academy of Neurology, and director of education of the Neurology Center, American British Cowdray Hospital, Mexico City. In the preface of their 4th edition, the authors recall the necessity of a second edition being published only a year after their first in 1987, due to the isolation and cloning of the dystrophin gene and the identification of its protein product. The subsequent 25 years have seen an explosion of research in both basic science and clinical medicine regarding the biochemical underpinnings and the clinical management of Duchenne muscular dystrophy (DMD), a broad field that is expertly and concisely summarized in the current edition. This trim (roughly 270 pages plus references) and well-written textbook by a highly respected group of neuromuscular clinicians in England is a pleasure to read. The flow is excellent, with little of the repetitiveness or ambiguity of thought that can occur in multi-author endeavors. There is a fascinating exploration of the history of DMD, from the first depictions of what is believed to be muscular dystrophy in Ancient Egyptian hieroglyphics to acknowledgement by the authors of prominent contemporaries in the field today. Complex concepts and topics regarding the biochemistry and genetics of DMD are conveyed in a concise and clear manner, with supportive data largely drawn from the vast clinical experience of the authors themselves. There were very few aspects of the book that disappointed me as a reader who specializes in care of pediatric neuromuscular disorders, and none were overly striking. While all figures are interpretable regarding what they are meant to illustrate, many of the pathology figures in particular would be much better appreciated in color rather than the black and white version in the text. A color section of the text or an online color supplement would greatly augment the reader’s appreciation of the beautiful examples selected for presentation regarding the pathology of DMD. The recommendation to perform muscle biopsy in every patient for direct dystrophin studies, in addition to molecular genetics, is somewhat strongly worded for the current practice of most of today’s neuromuscular clinics. However, the authors do temper this by emphasizing in other sections of the text the particular populations where this can be especially useful, such as a young patient with an identified dystrophin gene mutation which has previously been reported as having variable phenotypic expressions. It is also easily appreciated that the multi-systemic management issues in older Duchenne patients are complex: in the text, topics such as spinal surgery and cardiopulmonary management are dealt with rather briefly, in contrast to the more extensive discussion of musculoskeletal management of the ambulant child with DMD, for example. These are all minor points, and none was jarring enough to detract from the book’s many admirable qualities. Overall, this book is impressive in its scope. The timeliness of any textbook suffers somewhat from the time delay related to its publication schedule, but the discussion of therapeutic trials in this text, addressing both genotypic and phenotypic modification of DMD, nicely introduces most of the concepts still actively being studied today. Another particular strength is the unblinkingly honest and insightful discussion of sensitive topics, such as disclosing a diagnosis of DMD, and psychological problems in boys with DMD and their families. These aspects of DMD management are essential to excellent care, but are less often addressed in scientific publications about DMD. In summary, I strongly recommend this book as a natural addition to the library of any clinician who specializes in treating neuromuscular disorders, and it would be of interest to anyone who may encounter patients with DMD in their practice, including physical/occupational therapists, nurses, genetic counselors, social workers, dietitians, neurologists, physiatrists, geneticists, cardiologists, pulmonologists, orthopedists, and more. As the field of research related to DMD continues to evolve at a rapid pace, hopefully another edition will soon update discoveries and advances. World Neurology is planning a column in each issue devoted to neurological education. This new feature will help promote educational concepts and also will serve as a platform for new educational ideas and structures. Neurologic education and education research are of crucial interest to promote high quality neurologic care throughout the world, and is one of the critical roles of the World Federation of Neurology (WFN). For example, within the current issue and the previous issue, World Neurology has covered “training stories”— individual experiences reflecting an exchange program or a national curriculum. These and similar articles are important contributions for our global readers. World Neurology encourages the submission of short articles with a maximum of 750 words, a short summary, a maximum up to five key references, and up to one figure and one table. 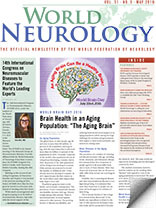 World Neurology appears six times a year, is free, and reaches approximately 18,000 readers. Your contribution will have an impact worldwide. Wolfgang Grisold, Walter Struhal, and Steven L. Lewis will edit this new initiative. We look forward to reviewing your submissions. Submissions should be sent to traininginneurology@wfneurology.org. World Neurology is encouraging submissions on a variety of topics related to neurologic education, including, but not limited, to education of neurologic trainees, continuing education, and education of the public. Clockwise top, from left to right. 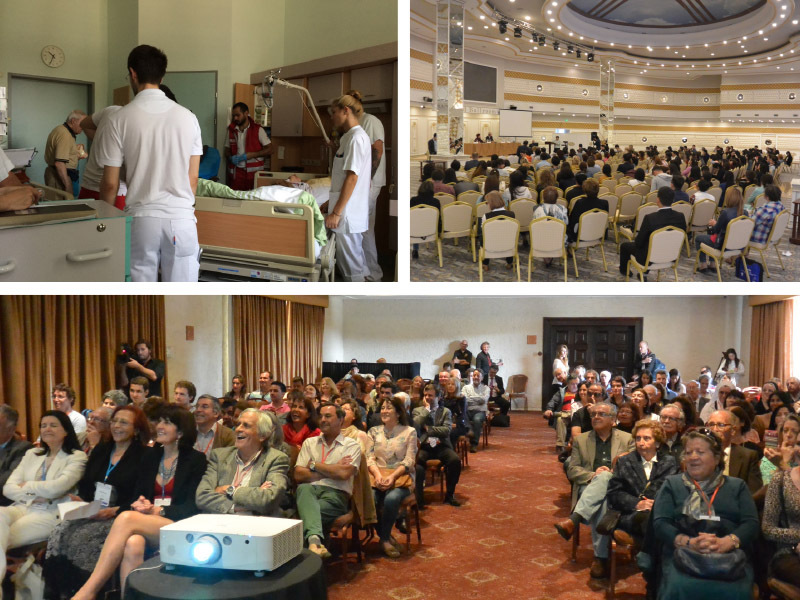 Figure 1 shows neurologists in training in Vienna, Austria, figure 2 shows neurologists attending a continuing neurologic education symposium in Almaty, Kazakhstan in August 2015, and figure 3 shows Patient Day at the World Congress of Neurology in Santiago Chile, October 31, 2015. The World Federation of Neurology (WFN) and the German Neurological Society (DGN) are pleased to announce a new partnership to invite two colleagues from Africa to visit the neurology department of the St. Josef-Hospital in Bochum, Germany, part of the University Hospital of the Ruhr University Bochum and the department of neurology at the Hospital of Ulm University. Wilhelm Erb initially founded the German Neurological Society (DGN) as the “Gesellschaft Deutscher Nervenärzte” in 1907. In 1935, the society was dissolved by the Nazi government. The re-establishment of the society took place in 1950 by Heinrich Pette. The DGN is part of the Association of the Scientific Medical Societies in Germany (AWMF). The current chairman is Professor Ralf Gold from Bochum. In recent years the DGN has become a fast-growing society, which represents more than 8,000 members. The WFN was formed in Brussels in 1957 as an association of national neurological societies. Today, the WFN represents 119 professional societies in 118 countries in all regions of the world. WFN’s mission is to foster quality neurology and brain health worldwide, a goal it seeks to achieve by promoting global neurological education and training, with the emphasis placed firmly on under-resourced parts of the world. The German Neurological Society supports the WFN’s African initiative by inviting two African colleagues to visit the department of neurology in the St. Josef-Hospital in Bochum (University Clinic of the Ruhr University) and the department of neurology at the Hospital of Ulm University for four weeks. The purpose of the visit is to experience the German neurological system in an international environment, meet new colleagues, and foster future cooperation. St. Josef-Hospital, Ruhr University Bochum: The department of neurology at St. Josef-Hospital is part of the University Hospital of the Ruhr University Bochum. The chair of the department is Professor Ralf Gold, who is also the current president of the German Neurological Society. The department comprises a total of 106 beds, including an intensive care unit, an intermediate care unit, and a certified supra-regional stroke unit. Neuroimmunological diseases represent the main clinical and scientific focus. The department of neurology has its own CSF-lab and its own plasma exchange unit. Neurosonology of the central as well as of the peripheral nerve system, constitutes a further focus, and the neurosonology lab is one of the few DEGUM-certified labs in Germany. Cerebrovascular diseases are treated according to the latest state of medicine, including mechanical thrombectomies. Furthermore, there is special expertise in the treatment of neurodegenerative disorders such as Parkinson’s or Huntington’s disease. The Ruhr University Bochum (RUB) was founded in 1962 as the first new public university in Germany since 1945. Today, the RUB is one of the largest universities in Germany and harbors more than 20 faculties. University Hospital of Ulm (RKU): The department of neurology, University Hospital of Ulm (RKU), chaired by Professor Albert C. Ludolph, is a maximum care hospital for neurology (tertiary referral) for 93 inpatients, including a certified supra-regional stroke unit/intermediate care ward for 27 inpatients, plus additional beds in an interdisciplinary intensive care unit and an additional neurological rehabilitation clinic with all levels of rehabilitation care. The department of neurology has its own CSF-lab and its own immune adsorption unit. The clinic has a dedicated imaging facility with MRI (where neurologists are specifically trained) and a state-of-the-art angiography unit where mechanical thrombectomies are performed. The outpatient clinic includes multiple, highly specialized outpatient clinics (including those for amyotrophic lateral sclerosis, Huntington´s disease, Parkinson´s disease and other movement disorders, multiple sclerosis, dementias, epilepsy, pain, brain tumors, etc.) and a dedicated neurological clinical study center. The main clinical and scientific focus is motor neuron disorders/amyotrophic lateral sclerosis for which the department is one of the world´s largest and most renowned centers. The visit will take place in mid-October 2016. To apply, applicants must email their CV, a supporting statement, and a letter of recommendation from their head of department by May 30, 2016 to the WFN Education Coordinator, Ella Nkanagu, enkanagu@kenes.com. For any questions regarding your application, or to apply, please contact the administrative office of the WFN Education Committee at +41 22 908 0164 or enkanagu@kenes.com. Ralf Gold, MD, is professor and chair, department of neurology, Ruhr University, Bochum, Germany; Wolfgang Grisold, MD, is WFN secretary general and a professor in the department of neurology, Kaiser Franz Josef Hospital of Vienna, Austria; Albert Ludolph, MD, is chairman, department of neurology, University of Ulm, Germany; and Thomas Thiekötter, MD, is CEO, German Neurological Society, Berlin.